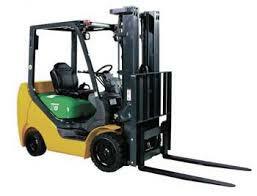 Industrial masted lift trucks are widely used for moving materials and goods. Without the correct training they can be particularly dangerous in the workplace. The Health and Safety Commission has published an Approved Code of Practice (ACOP) and guidance called Rider-operated lift trucks: Operator training, that set out the legal minimum standard of basic training which people should receive before they are allowed to operate certain types of lift truck. This training course meets the HSE standards and provide learners with the necessary knowledge and skills to safely operate the machinery. These courses are for anyone who uses or will be using an industrial masted lift truck in either the land-based or construction industry. The courses will allow you to develop the skills and knowledge required to operate the industrial masted lift truck safely and with confidence. Cost: For a 3 day course - £465 plus VAT per person include Training, Registration, Assessment, Certificate & ID card (Based on a full course of 3 people). Experienced Operators may be able to refresh in one day. Operator instruction book for all machinery and attachments. Overalls and wet weather clothing. PPE (eye, head, foot and hand protection).